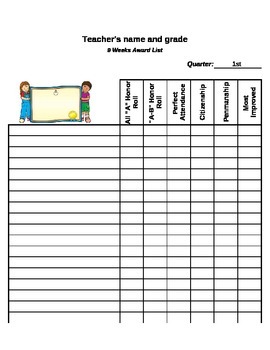 This is an organized way to keep up with each student's nine week awards. This can be used for any lower level grade. There is even an end of year award list.